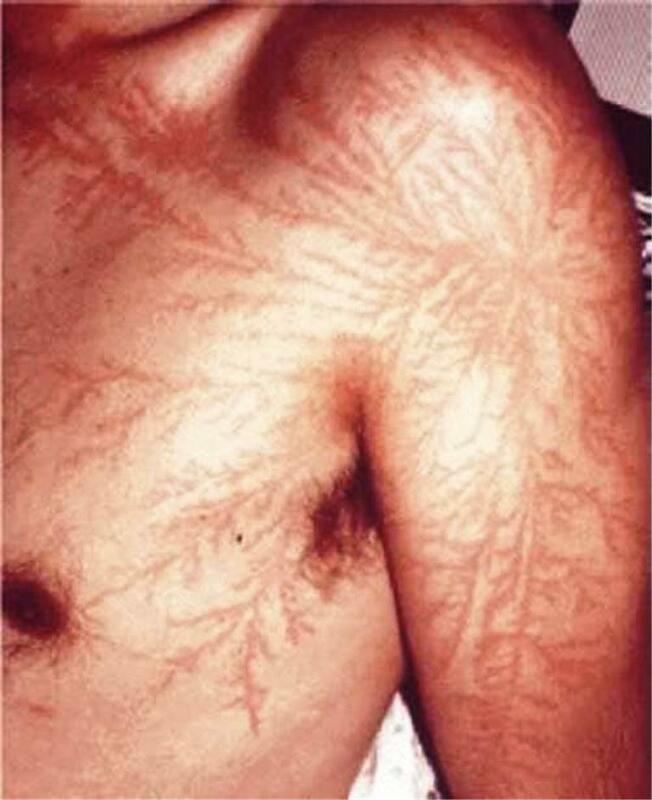 There's a few outcomes to a lightning strike. One can be benign when it can flash about the person's clothing and strike the ground. 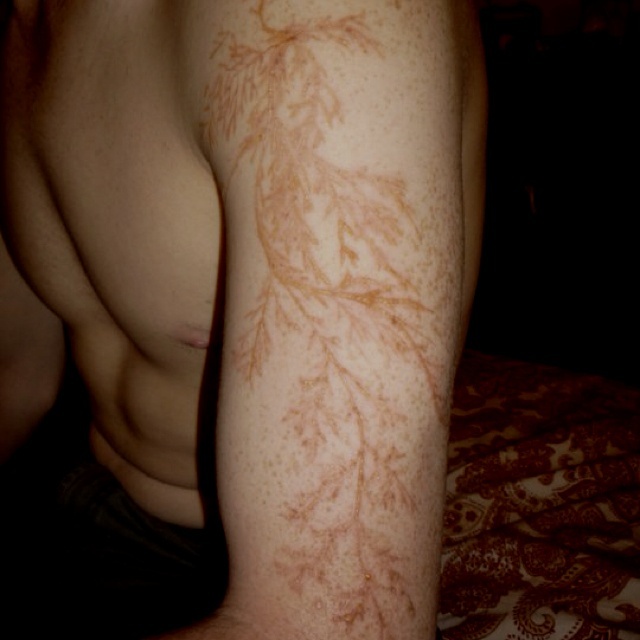 Other times, it strikes the person, creating Lichtenberg figures (as seen in these photos throughout). 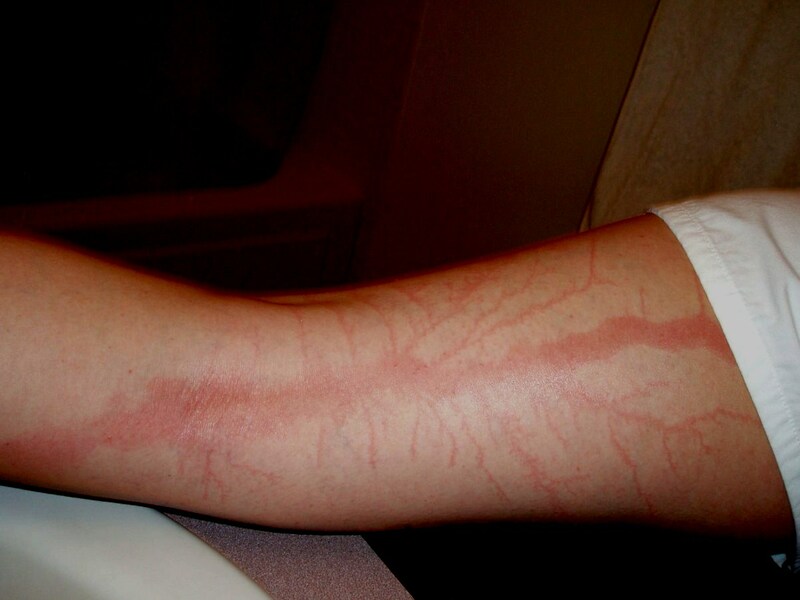 These are thought to be caused by the rupture of capillaries under the skin. The person might pass out or have cardiac arrest. The strike is also up to five times hotter than the sun. This heat can cause permanent damage to lungs. Concussions and hearing loss can often result from a direct hit. The nervous system, lungs, and circulatory system are very vulnerable to strikes. For some, the brainstem is affected and so breathing ceases. Long-term issues can include dizziness, loss of hearing, cataracts, seizures, chronic pain, and more. Some tips for staying safe during a lightning storm: Find a sturdy building or car to go inside of. Stay away from power lines, bodies of water, fences, or any tall objects. 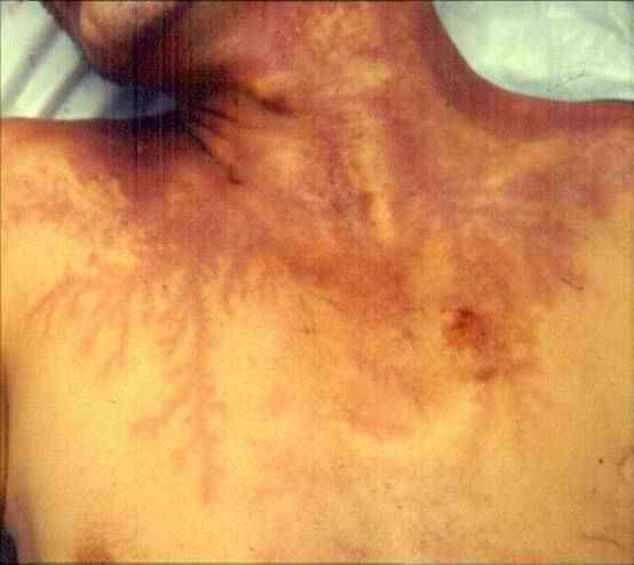 Never hide under a tree - they are vulnerable to hits and that is how most people take a lightning blast - from the blow to the tree. Inside, stay off of corded phones, computers, electrical equipment. Avoid plumbing, sinks, tubs and showers. 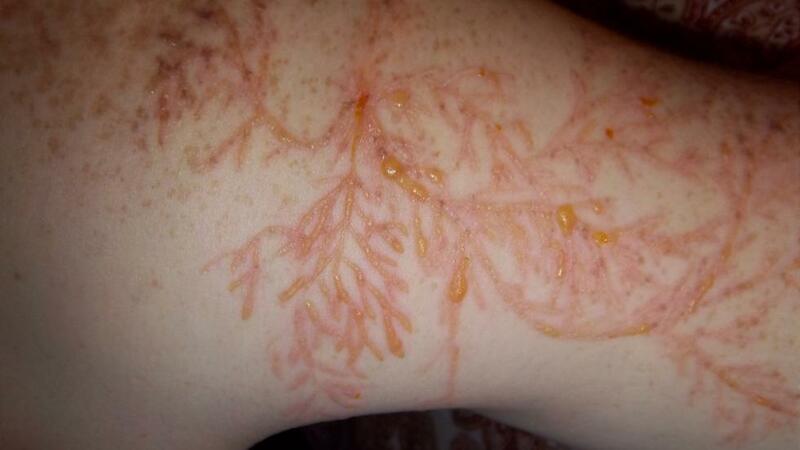 Stay away from open windows and doors. And, don't go back outside until the thunder has been gone a half hour. 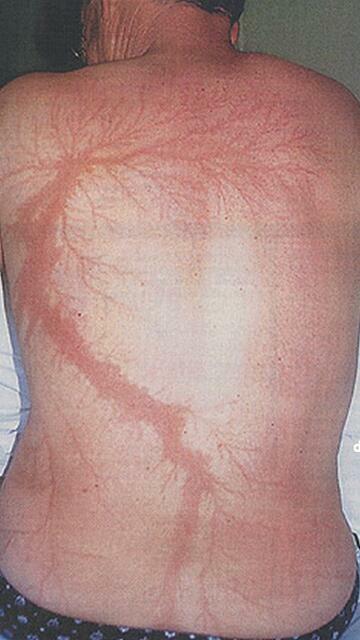 Lightning strikes can occur from distant storms to where you.